Staff at Arden House are chosen particularly for their understanding and dedication as well as their caring skills. They have been trained to be attentive yet discrete, to give residents confidence and support. There is always a high staff to resident ratio, including waking night staff, to allow personal time with all of our residents. Our nurses are at the core of the care and attention we give to our residents – not just in a medical capacity, but also to give peace of mind and reassurance. Our specialist nursing home provides not only care and support for you or your loved one – but trained nurses on hand 24 hours a day. Supporting our nurses, is a team of qualified care assistants who are also available 24 hours a day, 365 days a year, to provide personal care in a professional and respectful way. For residents, Arden House will become their home and we would hope to continue to care for them, where possible, even in the final stages of their lives. We know that this knowledge and the sense of security this gives, has been a great comfort to many. We’re extremely proud of our team. 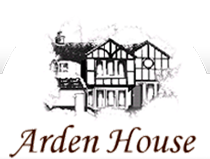 We understand that choosing a nursing home can be a difficult decision and that’s why we invite you to speak personally to our Home Manager to find out more about Arden House.